Know what goes on the face of great advertising? Whatever you want! 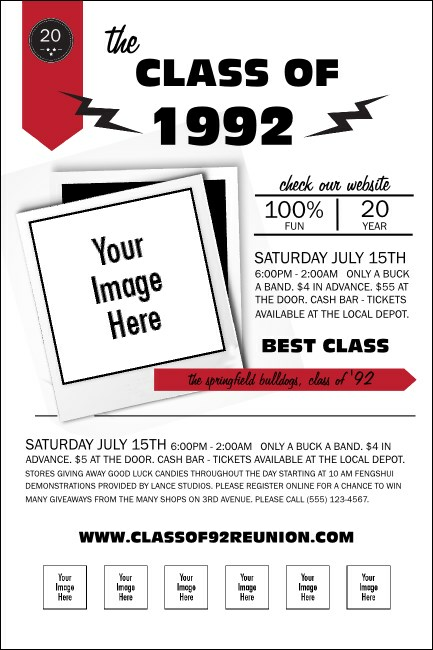 Print Class Reunion Mascot Red Posters and advertise your school reunion in advance. With room to upload seven unique images on a classic red and white background, you can put your sponsors on blast or promote your school’s mascot along with your next event. TicketPrinting.com helps you relive the good old days.